Bioshock Infinite's box artwork has been revealed. 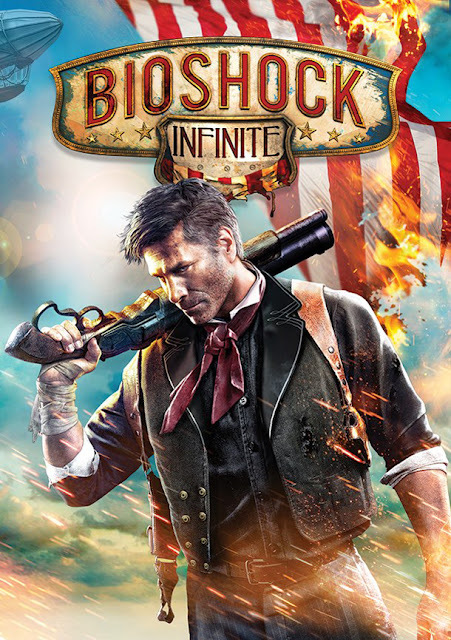 Featuring the protagonist, Booker DeWitt the artwork is bright and clean as opposed to the murky depths offered by the original two games which featured Big Daddies. The cover's suggested tone of the game is probably very deliberate as the game is set 'in the clouds' on the floating city of Columbia of rather than submerged in the leaky world that was Rapture. Bioshock Infinite is set for release on February 26 across the PlayStation 3, Xbox 360, and PC platforms. Order your copy here!